I have been using GoDaddy for my domain registration and shared hosting for more than three years. So far I am happy with their service and their support tutorials are enough to clear most of the issues or doubts. However, yesterday only I found a new issue with hosting one of the domain names I purchased through them. Though both the domain name and hosting are from them, they are in different accounts. I purchased the domain name from a GoDaddy account but the hosting is from a different account. Now the trouble begins, I couldn't point the domain to hosting account because both are not in the same account. I have added the domain name to hosting and created a secondary folder for it but after uploading content, it says your website cannot be displayed. So here I am going to present the steps I have done (which are necessary even if you bought web host and web address from the same account) to fix the issue. This tutorial explains the entire procedure to publish a website with GoDaddy. I have divided the guide into two. The first part explains how to configure URL address to the uploaded website when you bought both host server and web address from the same account. The second part of the guide explains how to complete the procedure if you bought both of them as different users. Here you have both host server space and web address in the same account. It is the easiest way to upload and configure a website because all we have to do is to create a subfolder and point the website address to it. Once the folder is activated, we can upload files to it either using a file manager or using FTP. The detailed steps are given below. Visit http://www.godaddy.com and click sign in. Now you should enter the username (or customer id) and the password. Click on Hosting tab on the top of the window. Sometimes you may need to click on either manage or setup button. If it is your first time, you will see the setup button. Then you will be redirected a page where you must add a primary domain. 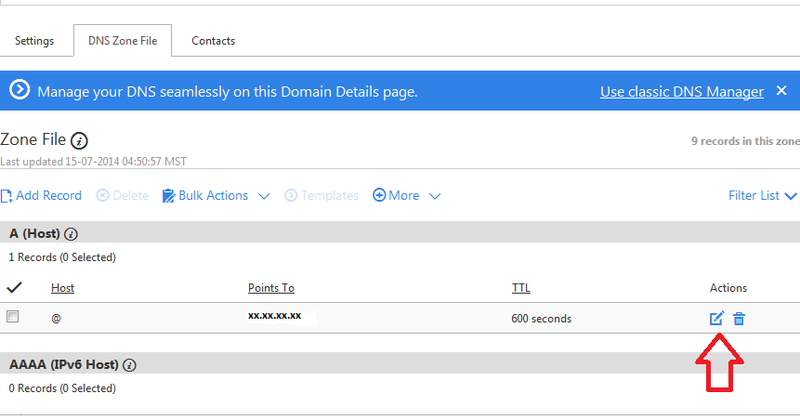 If you have already used it, you may need to click on more to get hosted domains window. 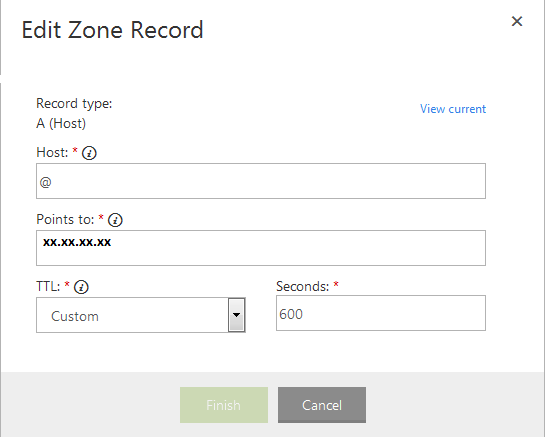 Here you must create a folder to host new one after entering the domain name. You can use the browse button to select a folder if one exists or you can create a new folder. After selecting the folder, click OK. If both products are purchased as the same user, you can directly upload the website content to the new folder using either file manager or using FTP software. As I said before, if the web address and host are in the same GoDaddy account, you do not need to do any more steps. You can directly upload the website to the folder you have created. But it won't work if host and web address are in different GoDaddy accounts. 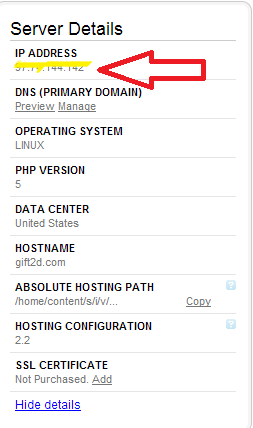 Here we need to point the site URL to the host server IP address. The below section cover this part. Here you have purchased both products as different users. One of the common scenarios is to publish a site as a web development company but the web URL belongs to the client. Now login to the GoDaddy account where you bought the domain. Click the domain tab on the top of the window. Now click the one which you want to point to the hosting in another account. Click on edit button under Actions. Now we must enter the IP address of the web host server under Point to: and then click on the finish button. Now we need to wait for a few minutes (sometimes it may take hours) to show the website uploaded to the host server by typing the web address on the address bar of the browser.